English Essentials Plus has been replaced by English Plus. You will be taken to the English Plus product page momentarily. The most comprehensive collection of digital resources ever offered by Townsend Press to teach grammar and English skills. Expanded for 2017, English Essentials Plus brings a suite of grammar-teaching digital resources to your fingertips! Our popular grammar skills books just got a digital upgrade. 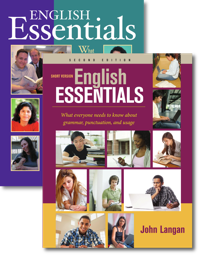 English Essentials Plus includes full e-books of both of our acclaimed grammar titles: English Essentials and English Essentials, Short Version, 2/e. These e-books are accessed inside the Learning Center and include bookmarking, highlighting, and note-taking capabilities. Two tests of students’ written English language skills have just joined our other assessments. Easy to administer and directly aligned with the skills in English Essentials Plus, these tests can guide individual and class instruction. And our transparent, teacher-friendly score reports reveal exactly which items challenged students and which ones they’ve mastered. By request, hundreds of activities from Part One and Part Two of our English Essentials texts are being added to English Essentials Plus. These items join our existing exercises and tests to give educators in digital or hybrid classes the ability to assign and grade all material electronically. English Essentials Plus comes with several bonus items: four digital exercises and two tests for key skill chapters in the textbooks. These digital exclusives serve to deepen and reinforce each skill presented in the text or e-books. Together with the book-based items, students will have ample practice with each skill. Every skill in English Essentials Plus includes a brief review lesson that illustrates key concepts students need to know. This lesson reinforces class instruction and provides a foundation for the exercises and tests to follow. 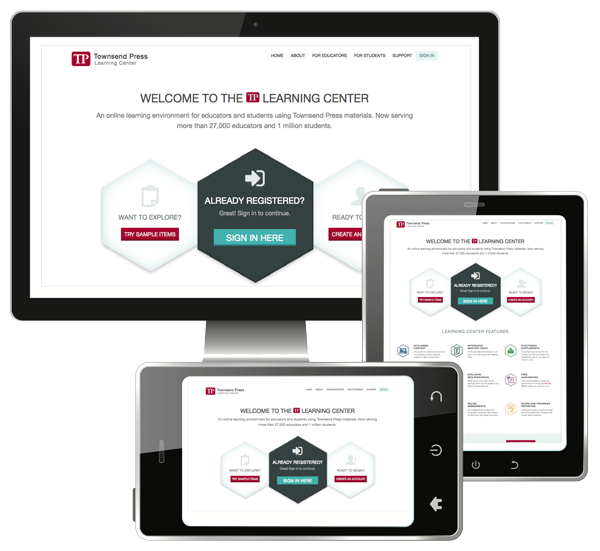 Class administration, enrollment controls, score reports, and our famously-clear, student-friendly content make the Learning Center a top choice. With English Essentials Plus, those features now can be used to teach grammar and English Skills. Try it today and see for yourself! Want To Explore English Essentials Plus? Create an Account Today!